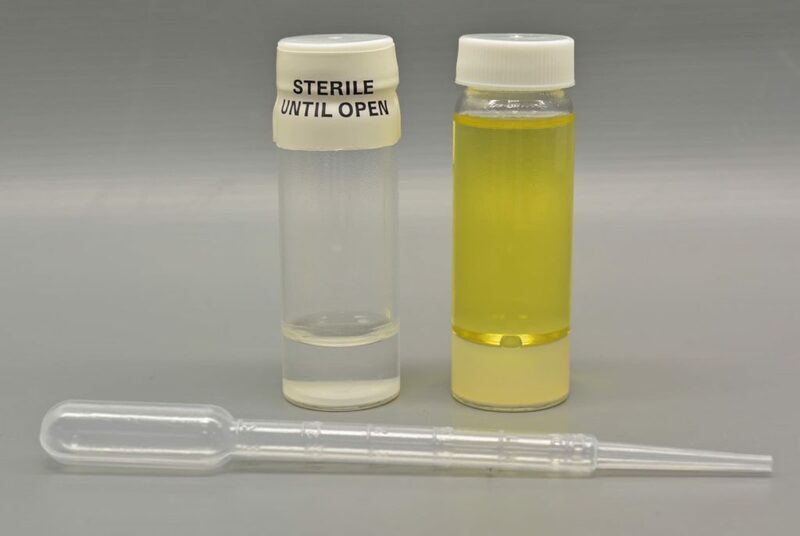 The Fuel Extractant is a sterile glass bottle containing 7 ml of an aqueous suspension of flocculating agent, designed to extract microbes from a fuel sample added to the bottle; the aqueous extractant may then be transferred to test kits which are not designed or able to be used directly on fuel. Sold in boxes of 10 tests. We only recommend using Fuel Extractant when it is not possible to test the fuel directly, for example when using the Sig Sulphide test for assessing SRB contamination. The preferred method for testing fuel for microbial contamination is to use the MicrobMonitor2 test, the only test kit designed to quantitatively culture microbes directly from a fuel. Full instructions are provided with each box of tests. 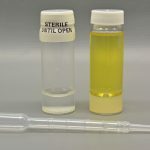 Additional sterile transfer pipettes are available from ECHA if required. The Fuel Extractant was an early development by ECHA Microbiology designed to overcome the problem that some test kits are only designed to test aqueous samples and cannot be used to test fuel samples directly. By using the Fuel Extractant in conjunction with these test kits, they can be used to test fuel samples. The complete extraction of all microbes from the fuel into the extractant aqueous phase may not be 100% and may be influenced by the type of fuel tested.